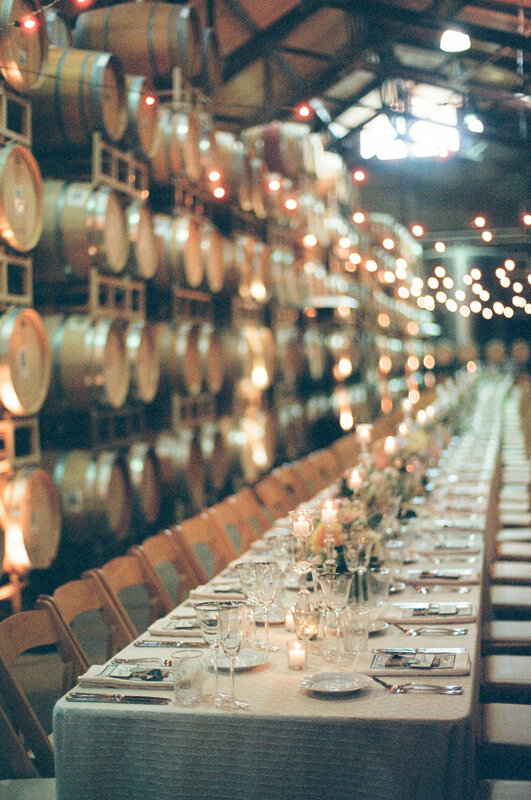 For this playful winery wedding, this couple chose Firestone Winery in Santa Ynez to host their special day. The bride is a graphic designer by trade, and designed all her paper goods, which was inspired by the couple's sweet french bull dog. 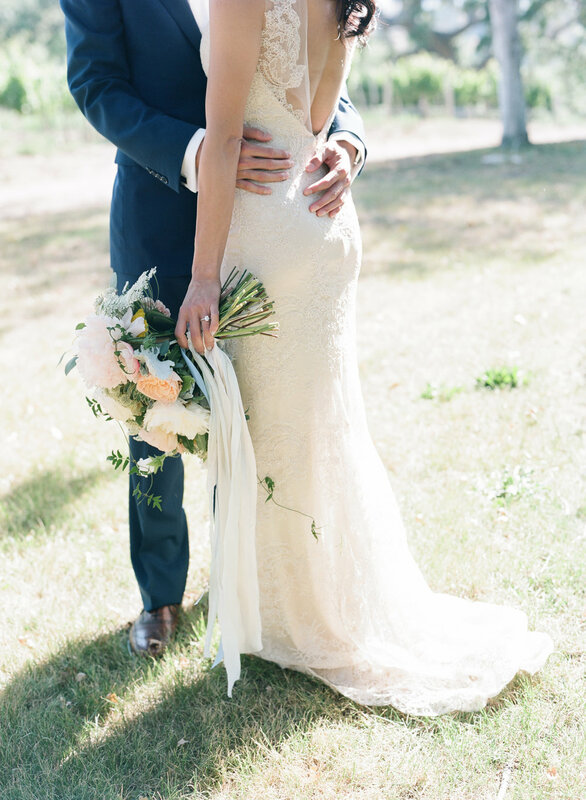 For her dress, she chose a fitted lace dress from BHLDN and the groom and groomsmen wore sleek blue suits paired with Hermes ties. 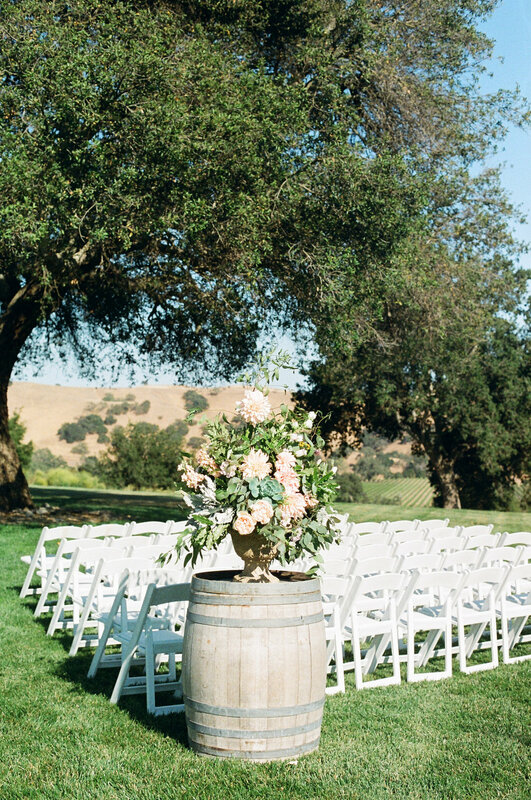 Ceremony was held under the oak tree at the Winery and featured oversized floral arrangements at the top of the ceremony aisle. After the kiss, a whimsical, old fashioned school bus transported guests to the reception. 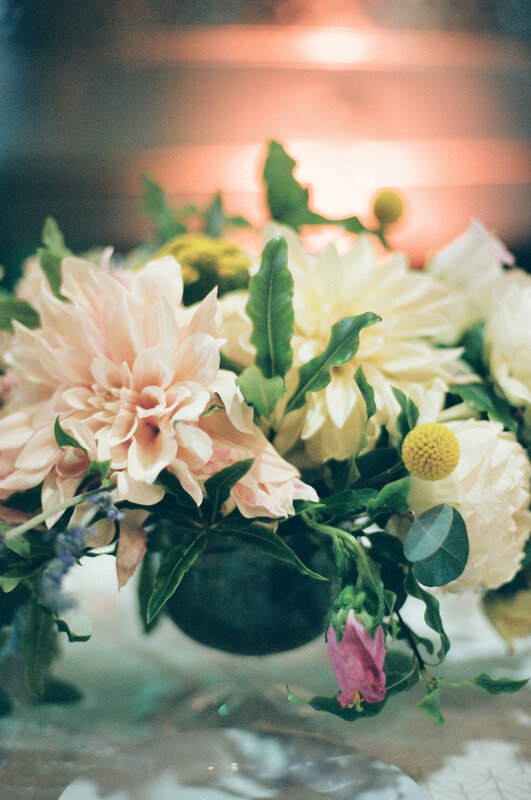 There, Anna LaPley Taylor floral designs featured a soft palette of pale pinks, sage-y greens, and unexpected pops of yellow. For the reception, one long table was set for all the guests to dine together and Duo Events served a delicious farm to table menu. A traditional wedding cake by Your Cake Baker was decorated with mini bunting flags cake topper and Enjoy Cupcakes provided additional sweets. 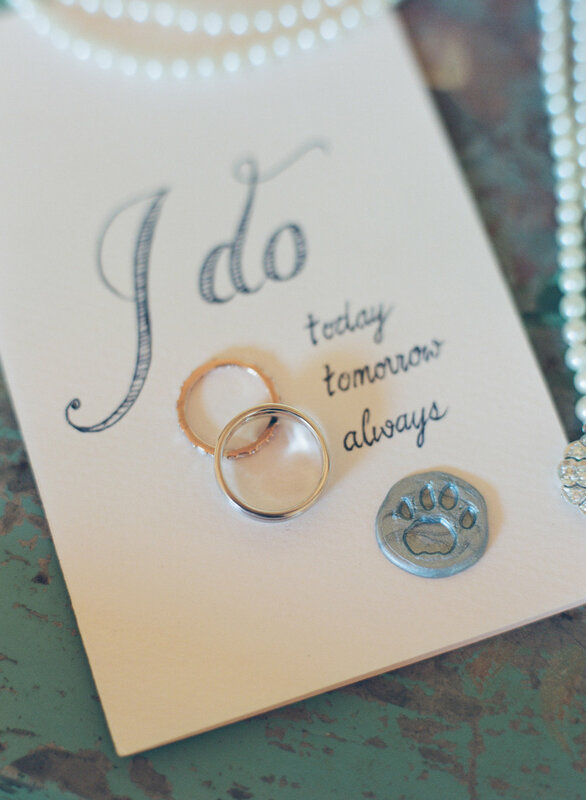 And all was expertly planned by Soigne Productions and photographed by Beaux Arts Photographie.